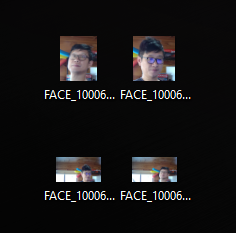 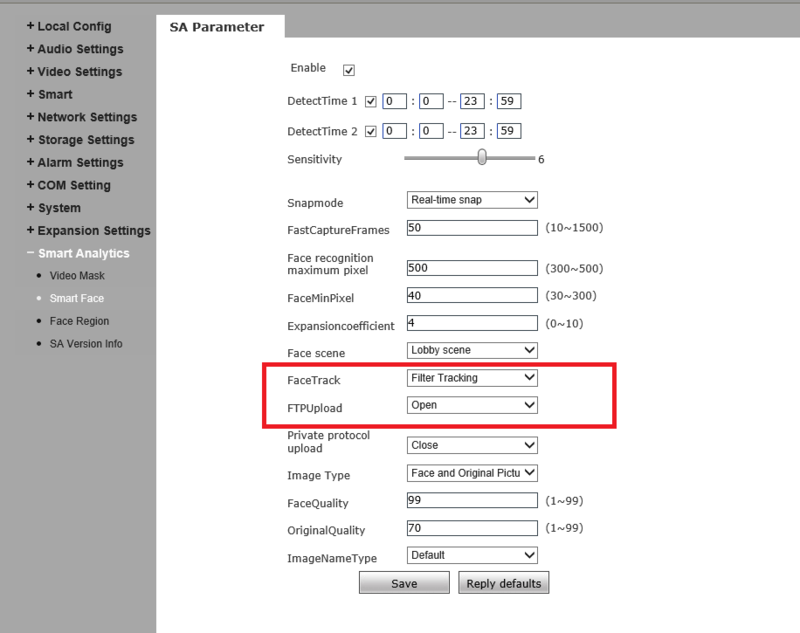 The face capture camera can detect and capture faces and then feed the face to a FTP server. 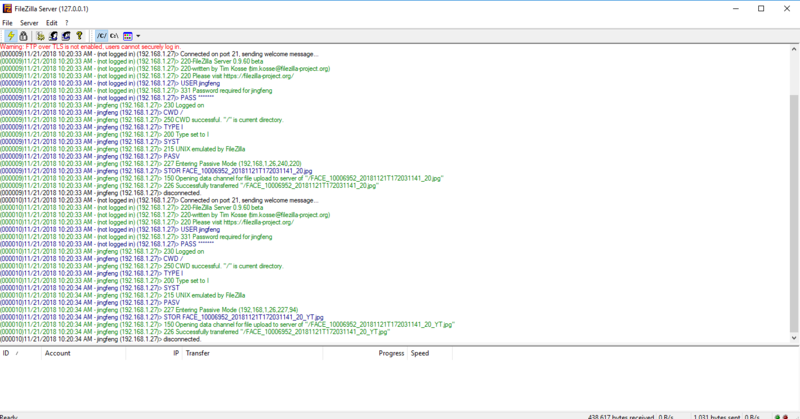 First, we need to setup a FTP server as described in the post. 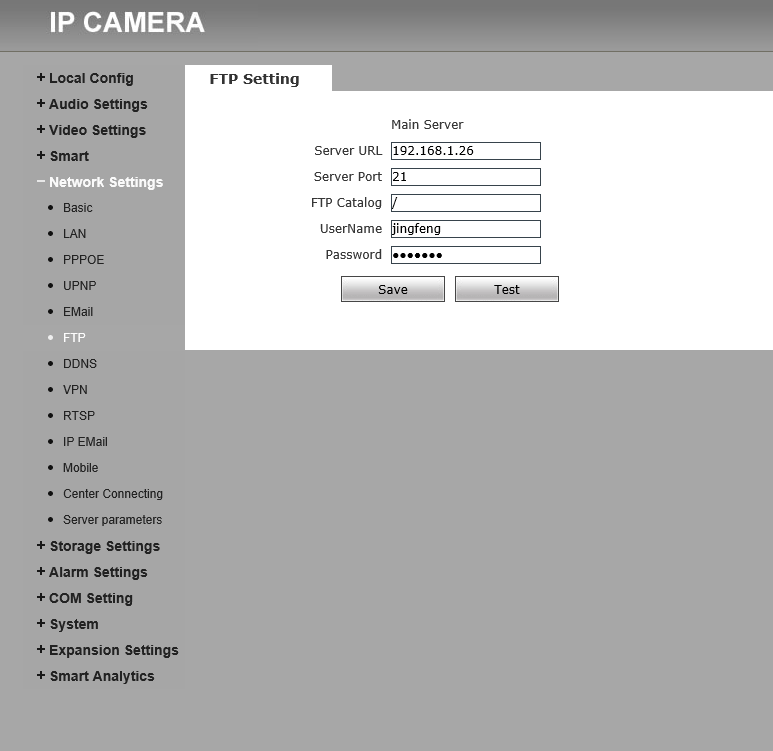 We then follow the ways described in this post to access the configuration web page on the camera.